In this outstanding interview with Dr William Pepper, James Corbett delves into the chilling account of the prophets cold blooded murder, and the chain of events leading up to the tragedy. Dr. William Pepper’s remarkable 40 year investigation into the assassination of Martin Luther King, Jr. is summarized in his equally remarkable book, “The Plot to Kill King: The Truth Behind the Assassination of Martin Luther King, Jr.” In this conversation we discuss Dr. Pepper’s relationship with Dr. King, the mind-blowing evidence that destroys the official story of the assassination, who really killed MLK, and the complete media blackout that has served to keep this information from the public for half a century. 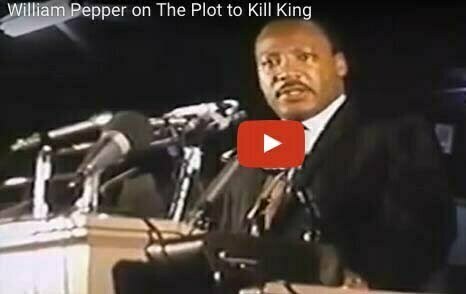 Bestselling author, James Earl Ray’s defense attorney, and, later, lawyer for the King family William Pepper reveals who actually killed MLK.